So this one was just bound to get me back into rant mode…. Last week I saw a piece in the New York Times blog (and many other news outlets), claiming that a new study shows babies born by caesarean are more likely to be obese as adults. There were the usual comments under it that “we are perfectly designed to give birth naturally*” so no wonder it’s bad for the kid for these selfish mums have c-sections, blah blah. But, there were also a number of comments that made me smile. They were the ones that said – This study proves nothing; Corrolation does not equal causation. 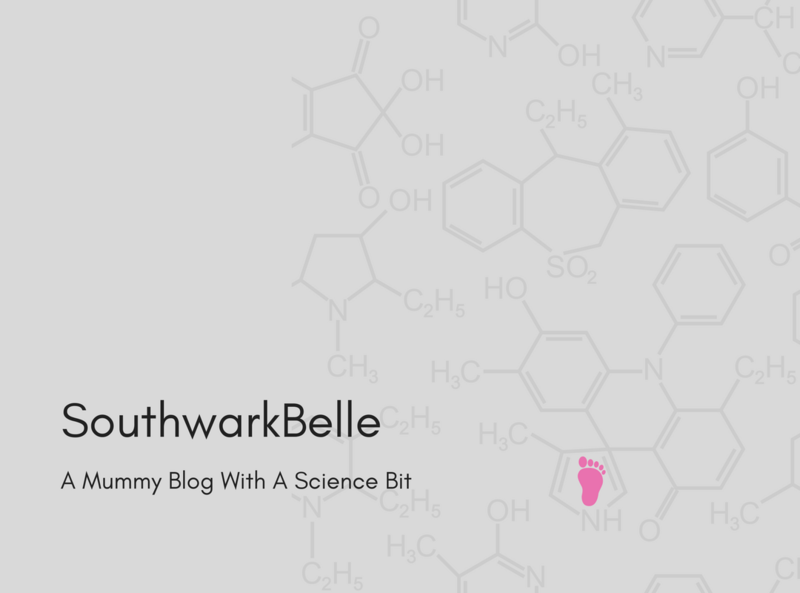 It’s a phrase I’ve come across a lot as I continue to dig into the world of pseudoscience that’s hurled at us mums. So I thought it was time for a little post about it. What the headlines would have us believe, is that being born by caesarean causes people to become obese. The paper does indeed show that those born by C-section have a slightly higher BMI, but you don’t have to dig very far to find out that there is no proof that one thing is actually causing the other. OMG organic food causes autism!!! No, no it doesn’t, and neither do vaccinations, they are just three of the many things that happened to be changing in the world at the same time. 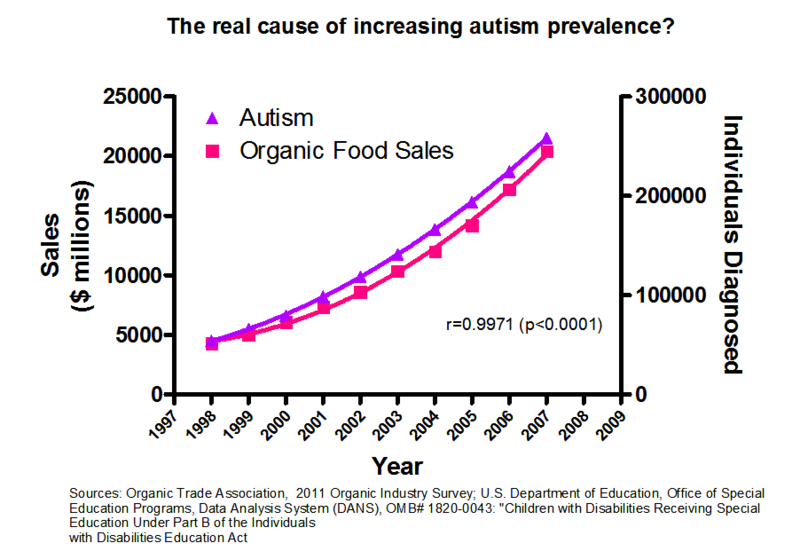 There is a corrolation between autism diagnosis rate, MMR vaccination and organic food sales. But none of those things is linked in any way, except for in the conspiracy theories of the anti-vax world. The other way you can get this correlation v causation issue is if two things are actually linked, but rather than one causing the other, they are both caused by something else entirely. Which brings us back to the C-section study. 1- Obese women are, for various reasons, more likely to have caesareans. 2- The children of obese mothers are more likely to grow up to be overweight themselves. So are C-sections causing obesity? Or are the mode of birth and the babies subsequent BMI both just symptoms of the same cause – the mother’s weight? The study can not possibly tell. The author of the paper says: “There are good reasons why caesarean sections may be the best option for many mothers and their babies, and caesarean sections can, on occasion, be life-saving. However, we need to understand the long-term outcomes, in order to provide the best advice to women who are considering caesarean delivery”. I have a couple of issues with that statement. Firstly, it seems to assume that many women choose a caesarean for such flimsey reasons that an unproven risk of a small increase to their babies BMI might be enough to put them off. Whatever the likes of the Telegraph would have you believe, most C-sections in the UK are carried out for medical reasons. Either because of an emergency during labour, or because there is reason to believe it’s the safest option for mother or baby. I can’t imagine many scenarios where the slight increase in BMI is more worrying than the reason for the C section and of course, helping a child to develop healthy eating habits and an active lifestyle will go a long way towards warding off obesity. Regardless of how the child was born. Secondly, yes, women should have the best possible advice. But this study is far too limited and preliminary to be part of that advice. In fact it shouldn’t even really be news. It’s an academic paper that suggests the need for further research in a specific field. But because that field is women’s bodies and their choices about them, it makes it into almost all the major news outlets. This does nothing to make women better advised. Perhaps, with further work, it will be clear that caesareans really are causing obesity and if/when that happens women should absolutely be made aware of it so that they can consider it along side all the other factors. But at the moment all that this study and the media hype around it offer, is yet another reason for c-section mums to feel guilty and another bit of propaganda for the idea that the only correct birth is a natural birth. That isn’t giving good advice for informed decisions. It’s just another little way of preventing women from having control over our own bodies. See – you all knew I’d get back to ranting soon didn’t you?! *No we bloomin’ well weren’t. We evolved to be the best possible compromise between being able to walk upright and yet have babies with ludicrously massive heads. Weather or not you think a creator was involved in that is up to you, but either way it’s compromise not perfection. **This study was a review which collected and analysed data from other research papers. Another significant weakness is that most of those papers were very old dating from the 1930’s to the 1970’s. Caesarean birth was far less common in the past, and far riskier. It is therefore reasonable to assume that it was only done where there was a clear and significant risk of death or serious injury to mother and/or baby. This also means it’s quite probable that mother and/or baby may have had other health issues and that these could have contributed to the babies increased BMI later in life.